Happy National Hard Candy Day, everyone! Here at TheBestDessertRecipes, we’re all about obscure national food holidays. Even though we don’t really need an excuse to make a ton of our favorite sweet treats, it’s fun to know that a ton of other people are whipping up the similar sweets at the same time. How mind-blowing is that? While some of the national food holidays don’t make a lot of sense (like celebrating National Pumpkin Pie Day on Christmas Day), we think that today, December 19th, is the perfect day to celebrate National Hard Candy Day. Christmas is coming up fast and, if you’re anything like us, you’re almost Christmas cookie’d-out. We’ve made (and eaten) all of the Christmas cookie recipes in our recipe box and we’ve been wanting to make a batch of something else. 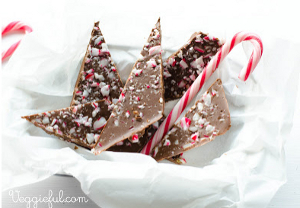 Homemade candy can be the perfect addition to your Christmas dessert tray. It provides a welcome break from gorging yourself on soft Christmas cookies (don’t be ashamed, we all do it) by giving you something harder, crunchier, and (most likely) sweeter to munch on. 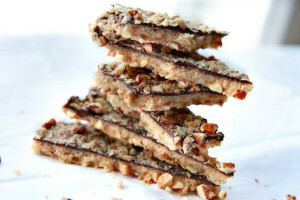 Here are just a few of the recipes that we’ll be cooking up today for National Hard Candy Day. Let us know if you’ll be whipping up any of these easy candy recipes too! To reward you for being such wonderful readers, we wanted to make sure that you were aware of our most recent giveaway! From now until Sunday, December 29th, we’ll be collecting entries for our Talisman Designs “Phrases” Utensil Set giveaway! The set comes with a salad fork and spoon (for tossing), as well as a slotted spoon. They’re lightweight and yet really strong and sturdy. We think they’ll look great in your kitchen, so make sure to enter your name in to win. We’ll be giving away five of these utensil sets and, if you enter now, you could be one of our five lucky winners! 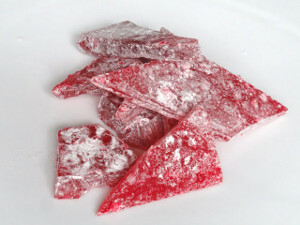 What’s your all-time favorite kind of hard candy?